Located in Barrie, Ontario. We offer 24 hour services of Emergency and Accident Assistance Towing; Local and Long Distance Towing. Also Flat Bed Services, Lockout, Boost/Jump Starting, Flat Tire Changing, Fuel Delivery, Vehicle Storage, Scrap Car Removal, Heavy Machinery towing and Equipment Transportation. Our Towing Service covers all customers in the Greater Simcoe County area and including Barrie; Innisfil; Oro-Medonte; Springwater; Essa; Angus; Orillia; Wasaga Beach; Tecumseth; Stayner; Alliston and Collingwood. Located in Barrie, Ontario, Canada; proudly serving Barrie from 2001. Our focus is simply being the best Towing Company in Barrie and surrounding areas. Our Towing Service covers all customers in the Greater Simcoe County area and including Barrie; Innisfil; Oro-Medonte; Springwater; Essa; Angus; Orillia; Wasaga Beach; Tecumseth; Stayner; Alliston and Collingwood. We offer extended service from Barrie to Toronto to accommodate travellers during the busy cottage/vacation seasons, as well as to those who travel the roads on their daily commute throughout the GTA. Our main focus for local services or long distance towing (Barrie to Toronto) or to anywhere in the province of Ontario, is to help you get to your destination as quickly as possible. We offer Flat Bed Service for vehicles or equipment in Barrie, with deliveries to anywhere across the Province of Ontario. You can trust us to get the job done. Accidents happen to all of us. You can feel confident that you are being looked after by a team of professionals. Our job is to secure, tow and recover your vehicle ensuring its safe delivery. Please call us first at 705.727.0010 to confirm that your vehicle is located at our Towing & Storage compound. Photo identification (Driver's License or other Government ID), proof of vehicle ownership and valid insurance must be presented in order for the vehicle to be released. 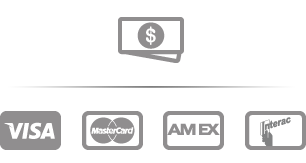 Cash, Visa, MasterCard, American express and Interac (Debit). 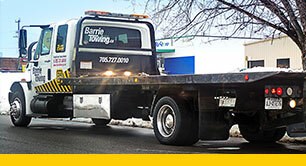 Tow Truck Services and rate vary from different Towing Companies and their geographic area. We pride ourselves on being honest, reliable and fair with the services we provide and the charges related to those services. All of our Tow Trucks have a listing of our rates and this is posted in an accessible place and available to anyone to examine. 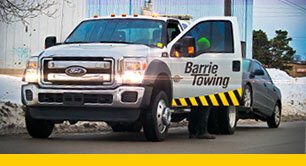 These rates have been posted in compliance with the City of Barrie’s “Towing” By-law. Towing rates may differ on the 400 series of highways which are governed by the Province Of Ontario and patrolled by the O.P.P. These Towing & Storage rates are also posted in our trucks and registered with the O.P.P. traffic unit as part of our transparency. The Highway Traffic Act states that all motor vehicles collisions involving injury or death; or where there is damage to property; or where the combined damage exceeds $1000.00, must be reported to the police. Depending on the circumstance you might be asked to just go and make your report at the Collision Reporting Center. If you are asked to do this, it must be done within 48 hrs of the accident. If no one is injured, and you are confident that the combined damages are below $1000.00 a collision report is not required by law and there is no need to go to the Collision Reporting Center. 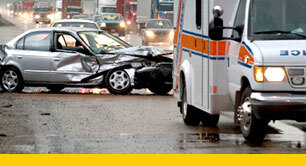 However, with any accident, make sure that you document what happened and exchange information with the other driver.